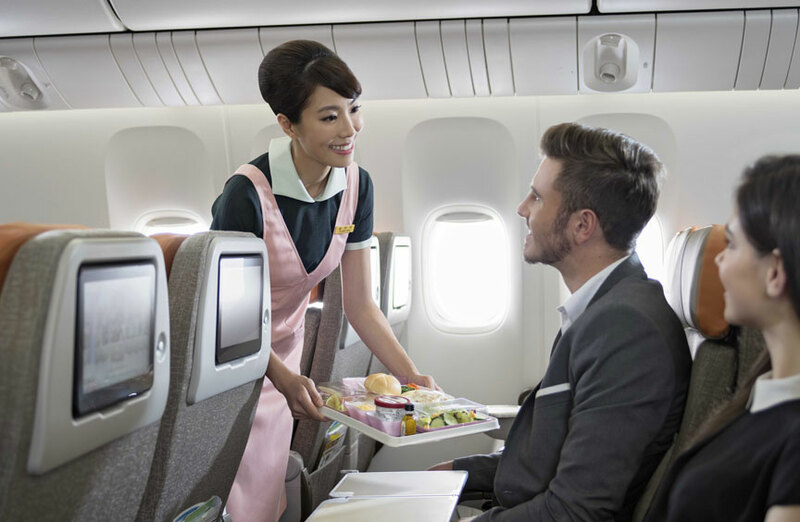 A five star airline, awarded by SKYTRAX, EVA Air is committed to quality service and safety. With a truly global network to more than 60 major tourist and business destinations across the Far East including, Bangkok, Phuket and Koh Samui plus its Star Alliance connection gives access to an enormous network of 1,330 destinations across 192 countries. Expect a relaxing space in Economy Class. The ergonomic design, reclining seats and memory shape cushions mean great comfort. 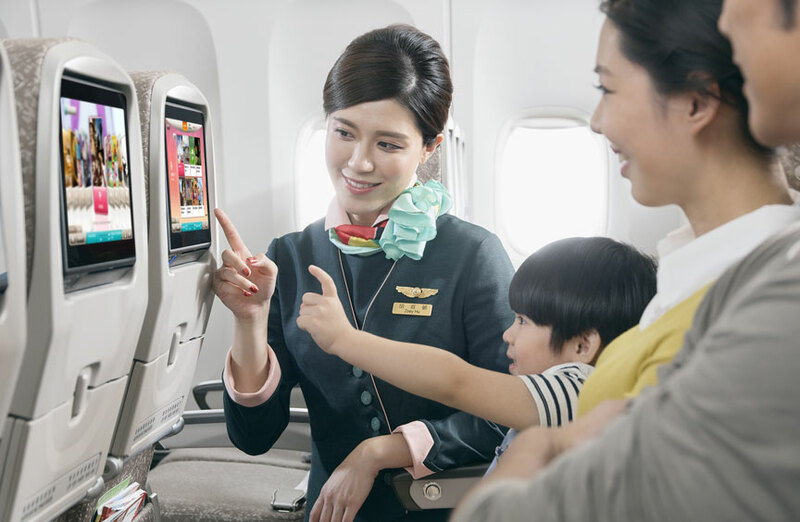 Stay tuned with a massive selection of videos, music and games on your own personal high-resolution screen and enjoy a wide selection of fresh and healthy in-flight meals. Unwind with extra space in Premium Economy. Sit back and relax with an ergonomically designed seat with spacious legroom and mood lighting for the ultimate comfort. Listen and watch hours of entertainment on your own 11” LCD touchscreen with noise cancelling headphones for the ultimate experience. Feel refreshed with a pillow, blanket and overnight comfort kit, charge all your essentials with the USB charging point and taste the flavours with fresh, seasonal, healthy meals with a selection of beverages. Feel at home in Royal Laurel Class. 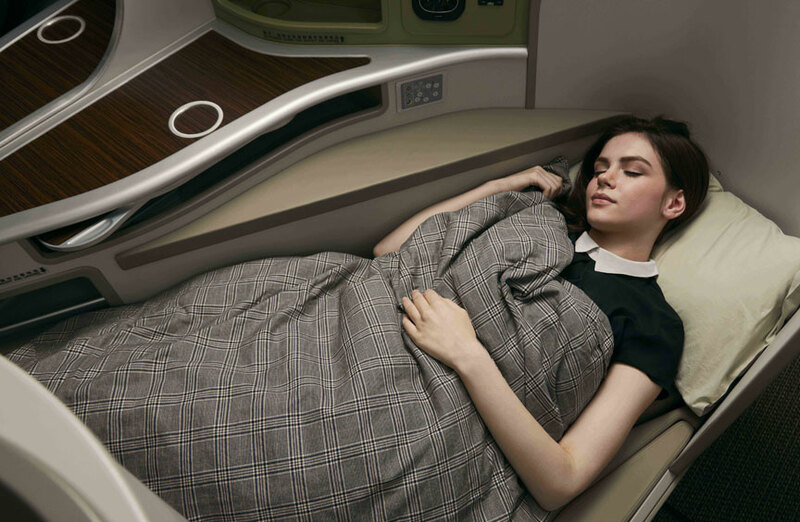 Step into your own private space with cleverly configured seating and a fully flat bed, step into the comfortable sleepwear and treat your skin with the exclusive amenity kit to enjoy a peaceful night’s sleep. Your personal HD screen with noise cancelling headphones, USB, iPod ports and power socket provides all the entertainment you need. With five-star food, taste the delicious, classic worldwide cuisine from steak to lobster and wash it down with the finest selection of wines and Fiji Water, plus, pre-order your main meal before you travel.